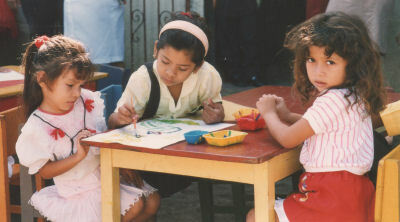 The simple aim of the Islington Managua Friendship Association is to give financial and friendly support to a small school for nursery and primary age children in one of the poorest parts of the Nicaraguan capital, Managua. Together with the parents we built the school in 1990, since when more than £125,000 has been raised in the UK and sent across to help the community provide an education, in a safe environment, for its children. 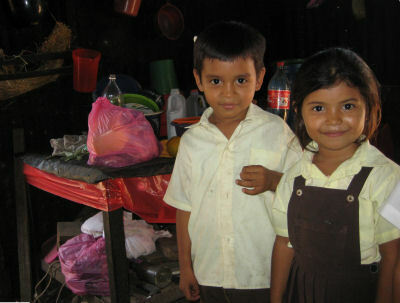 Relatively small amounts of money (from a British point of view) go a long way in Managua. Around £90, for example, pays a teacher for a month. Most of our funds come from “Sponsor a Teacher” standing orders, but pub quizzes and one-off fundraisers bring more money in and help spread the word to new supporters. It is a voluntary operation with all administration costs met by the trustees. Every penny raised by sponsors of this North London based charity goes to pay teachers’ wages and complete improvements to the buildings at the school, known locally as ‘Los Pollitos’. And it works- we are currently building a library and office, we employ 8 teachers educating 222 children and over 80 ex-pupils are now studying at university, but we do need more money as our success has increased the challenge and, more recently, sterling has lost value. We want to expand the school and help more children. And that means attracting more supporters. So, if you think you might have something to spare and are attracted by the knowledge that any help you give makes a very big difference to poor children’s lives, then please read on.